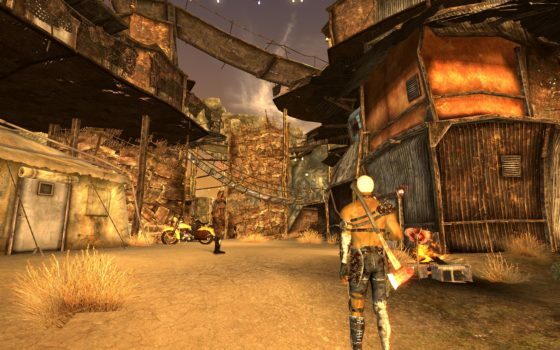 Despite being released nearly eight years ago, Fallout: New Vegas still has a thriving modding community, with popular mods being updated and new mods being released. With May 2018 nearly over, we’re almost halfway through the year. Here’s a look at eight mods that keep the Mojave Wasteland a place full of adventure! Salt Lake Stories is a mod that has been in development since 2010. Building off of the stories from the Honest Hearts DLC, Salt Lake Stories adds a large world space centered around the Great Salt Lake, with 38 Quests and 50,000+ pieces of dialogue. The mod features some adult content, and is mostly based on files from Van Buren, the unreleased third Fallout game from Black Isle studios, before the franchise came under Bethesda’s wing. One of the developer’s interesting choices involving the mod was the choice to remove quest markers, as well as blatantly obvious quest direction, forcing players to explore the world to solve their problems, which was something the original Fallout games implemented very well, with things such as the final encounter with The Master in Fallout having multiple non-violent solutions. A second large choice is a removal of larger action sequences. For the most part, Bethesda’s Fallout games take a less nuanced approach to interactions, meaning that more often then not you will end up fighting people to get your way. Fallout: New Vegas does a good job of adding some ways to get around more violent encounters with various skill checks, but Nexus user Yossarian22 has taken it a step further. Although the mod maker is not a native English speaker, and the mod takes some interesting design choices, Salt Lake Stories was one of the top rated mods of Feb. 2018 on the Fallout: Vegas Mod Nexus. Download Salt Lake Stories now.